I get these calls about five times a week. 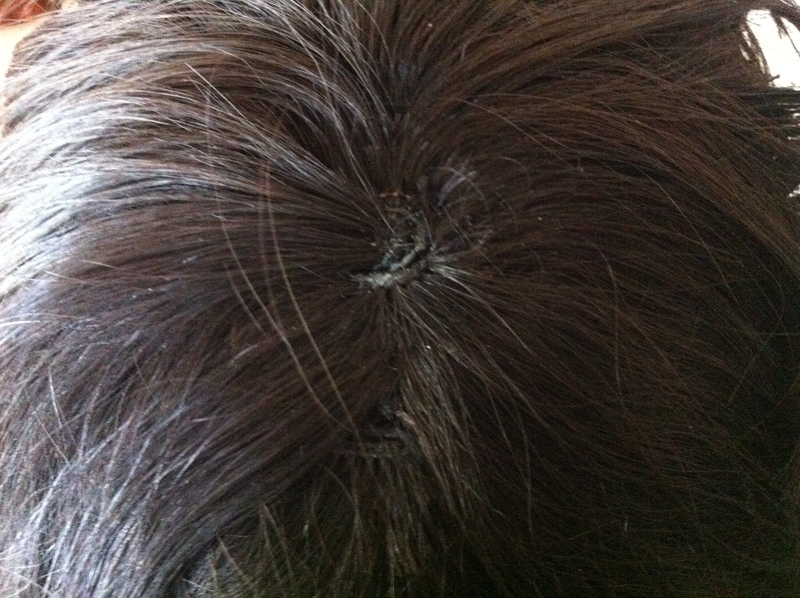 Well ladies, as much magic as I can work with a needle and thread, I just cannot recreate what God made on top of your head with wefts alone. No, it’s not that I don’t know *how* to, I have before, in my younger years I’ve done many a swirly top weave. Yes, in Sacramento, in my late teens/early twenties, I put those funny looking, unbeweaveable scalp/weft concoctions on many a client. But I’ve stepped up my game as the years have gone by, and I just have to face the facts (I suppose we all do) that no one’s scalp actually looks like that! I want my clients to have the most natural look as possible, and the cone head swirl look is just not natural! 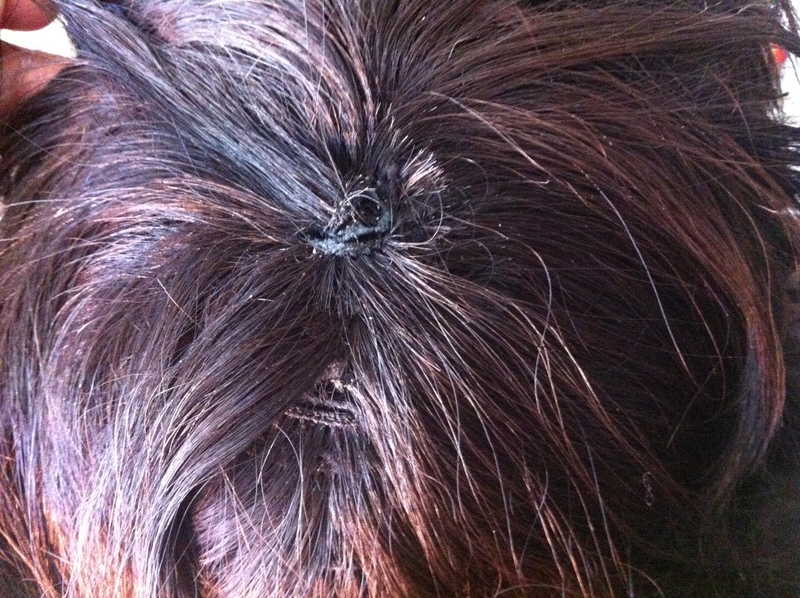 I took down a clients weave last weekend, and here’s a few pictures of the mess another stylist left up there. She even used superglue to hold it together! I can’t believe anyone expected her to walk the streets like this! Say yes to natural looks and no to the scalp swirl! Previous Post International Beauty Show in Las Vegas, The Weavemaster is There!